53. The vertical shaft is made to drive the horizontal one in either direction, as may be desired, by means of the double-clutch and bevel-gears. 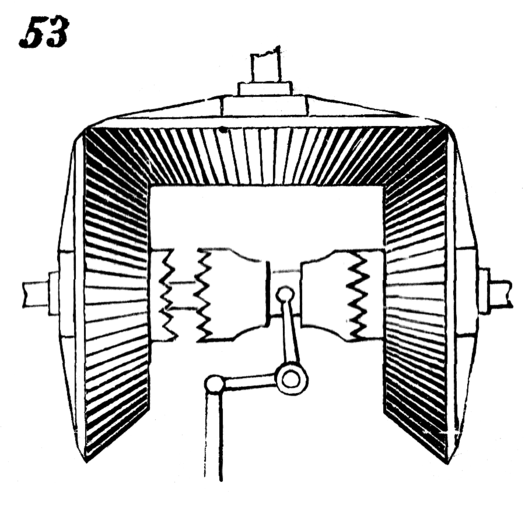 The gears on the horizontal shaft are loose, and are driven in opposite directions by the third gear; the double-clutch slides upon a key or feather fixed on the horizontal shaft, which is made to rotate either to the right or left, according to the side on which it is engaged.